For over 30 years, we have proudly made our signature brand of pasta right here in Canada. With a wide variety of pasta shapes and sizes, we have what you need to make dinner special tonight. Perfect for hearty casseroles and soups, egg noodles add rich flavour to any dish. 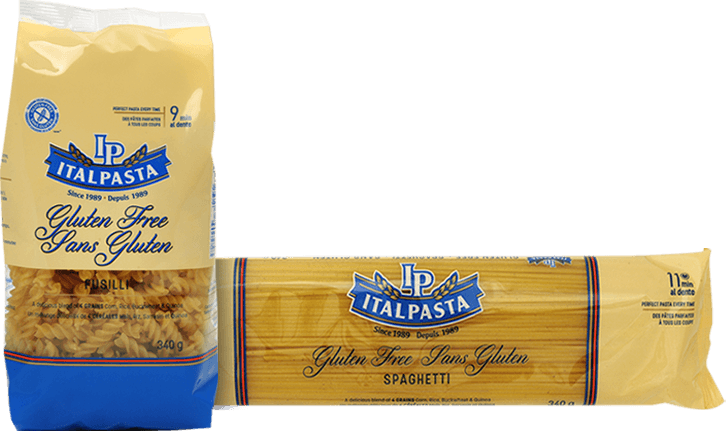 Our certified Gluten Free Pasta is perfect for those following a gluten free diet or looking to eat less gluten. Lasagne is one of the oldest cuts of pasta still enjoyed today. Have you tried our Macaroni and Cheese made with 100% Canadian Wheat and real Canadian cheddar? 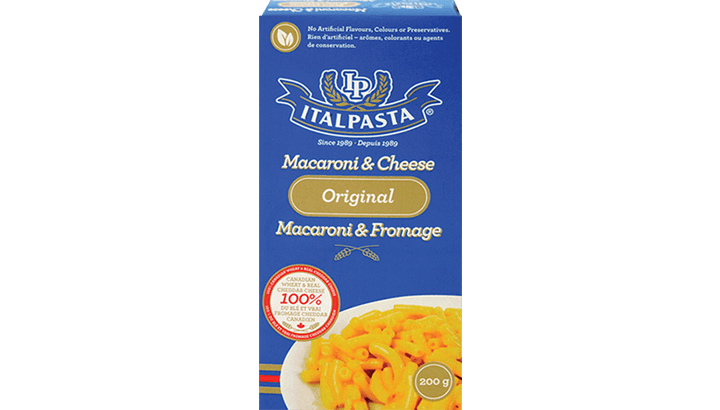 Italpasta Total Pasta looks and tastes like regular pasta, but it’s packed with the power of fibre an essential part of any well-balanced diet. 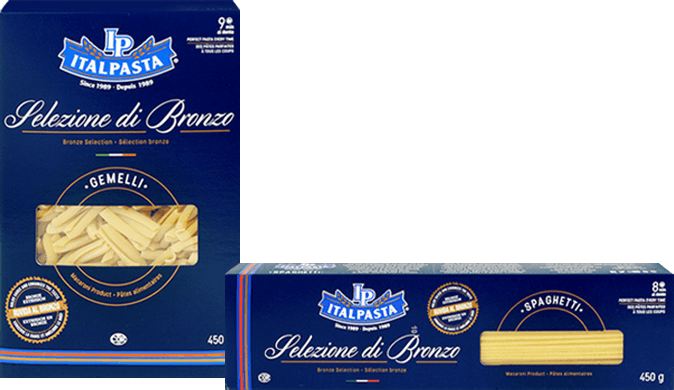 Italpasta Selezione di Bronzo pasta combines an age-old bronze die extrusion process with modern day technology. Made using 100% Canadian wheat, Italpasta Vegetable Pasta benefits from the addition of spinach and tomato giving it a distinctive “tri-colour” appeal. Italpasta Wholesome Grains pasta can help you to make those lifestyle choices one bite at a time. Italpasta is pleased to bring some of the most well-known Italian brands to Canada. Discover la dolce vita through the tastes of our partner brands.